Wii Sports Resort has sold over 1.25 million units in North America, according to Nintendo. And the new peripheral for the Wii, the MotionPlus accessory, has sold 2.9 million copies in the region – including units sold with Wii Sports Resort, 1.36 million standalone sales and 257,000 units bundled with EA's Tiger Woods PGA Tour 10. 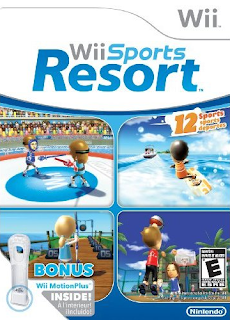 Nintendo of America has also confirmed that it will now be bundling two MotionPlus units with Wii Sports Resort for USD 59.99. In the UK, Wii Sports Resort and the MotionPlus add-on have been bundled in a new hardware package alongside the Wii console for around GBP 189.99.